CFWEP’s spring field season started off cold and windy, but things have been warming nicely. So far, CFWEP has collected field data with four Butte area schools: Butte Central, Fred Moodry Middle School, Ramsay Middle School, and East Middle School. Fred Moodry Middle School sampled water chemistry, vegetation, macroinvertebrates and soil from Silver Bow Creek near Anaconda (a mining-impacted site) and from the unimpacted Warm Springs Creek in Anaconda. The students findings were striking. For example, the conductivity at the impacted site was twice as high as the unimpacted site, indicating that there were more dissolved particles at that location on Silver Bow Creek. Both sites had a high diversity of macroinvertebrates, but only unimpacted Warm Springs Creek had stonefly and mayfly larvae, which are the most sensitive indicators of healthy streams. The students found a high diversity of vegetation at the unimpacted site, with a healthy mix of ground cover, understory and over story, while the impacated site vegetation habitat consisted of tailings, bare ground and pollution tolerant plants. All of the students clearly enjoyed their field trips, and kudos to them for braving sometimes wet, windy, cold conditions to do science. 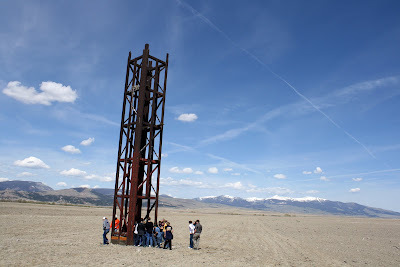 Below are photos from various winter-spring 2010 field trips and education projects. 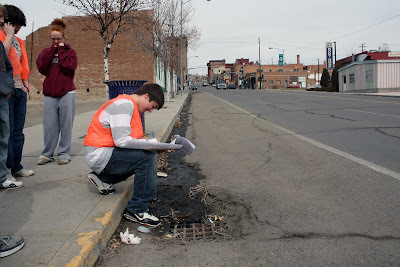 Butte students help to improve the Butte stormwater system that discharges into Silver Bow Creek. Students visit the Kalsta Ranch on the Big Hole River on a recent field trip. 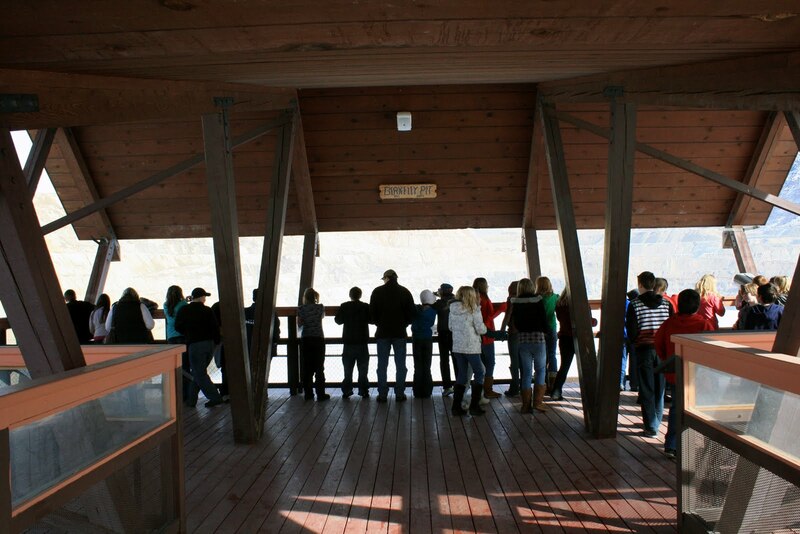 Students from Bonner visit the Berkeley Pit as part of a field trip to Butte. Anaconda students visit the BP-Arco Waste Repository, formerly known as the Opportunity Ponds.